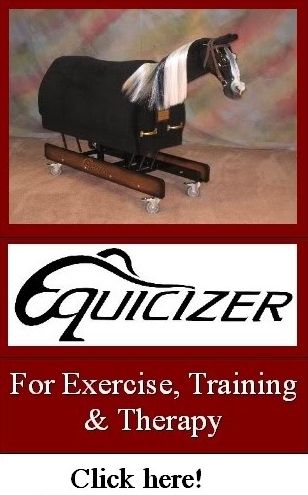 The Equicizer Equestrian Fitness & Exercise Page! 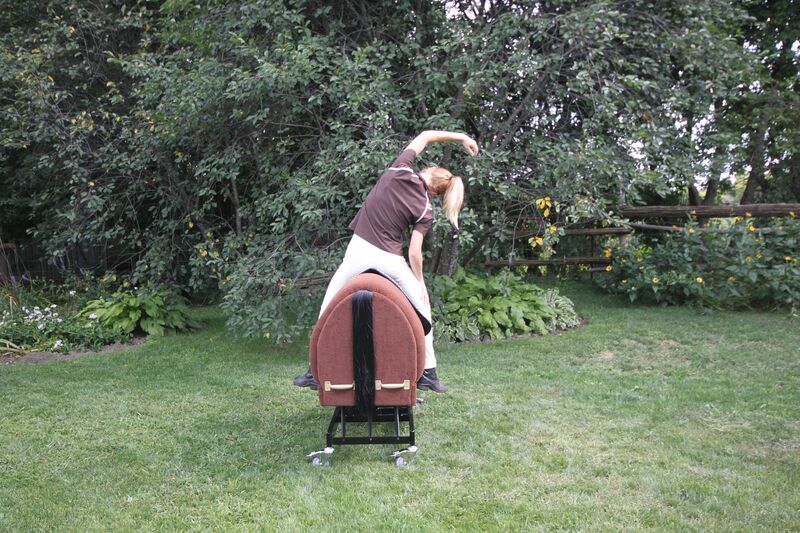 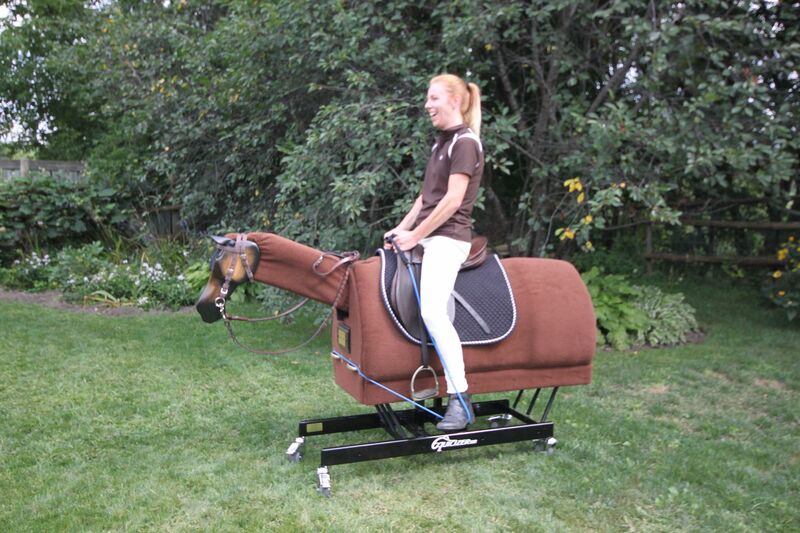 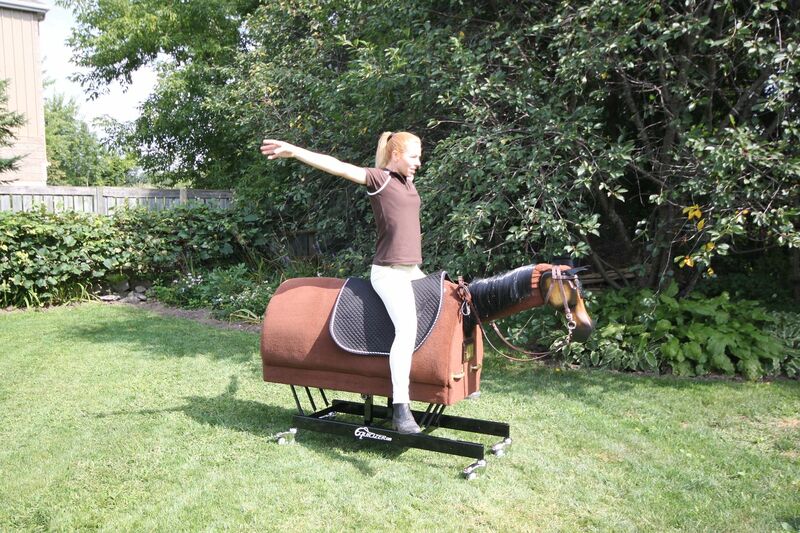 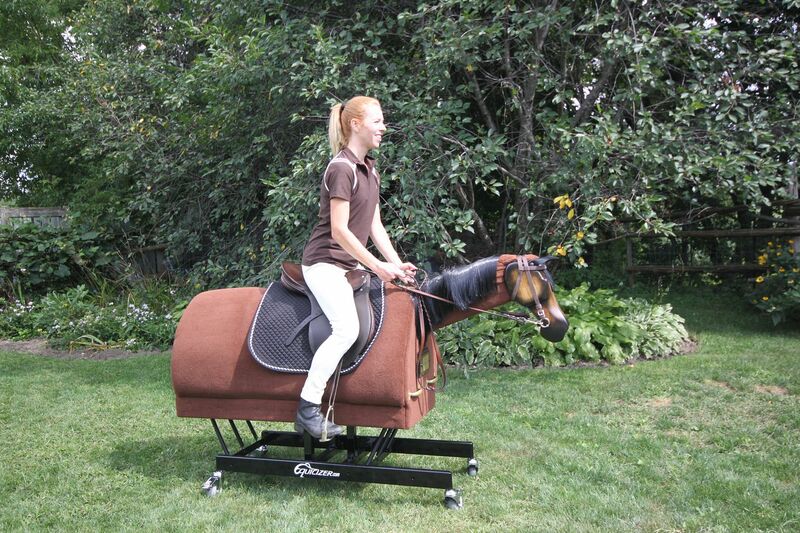 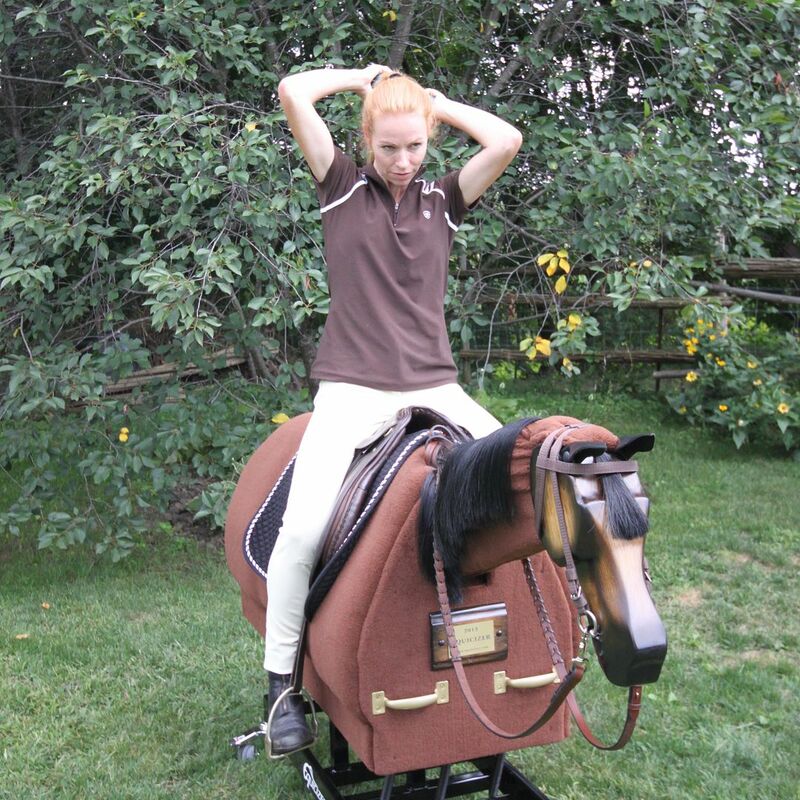 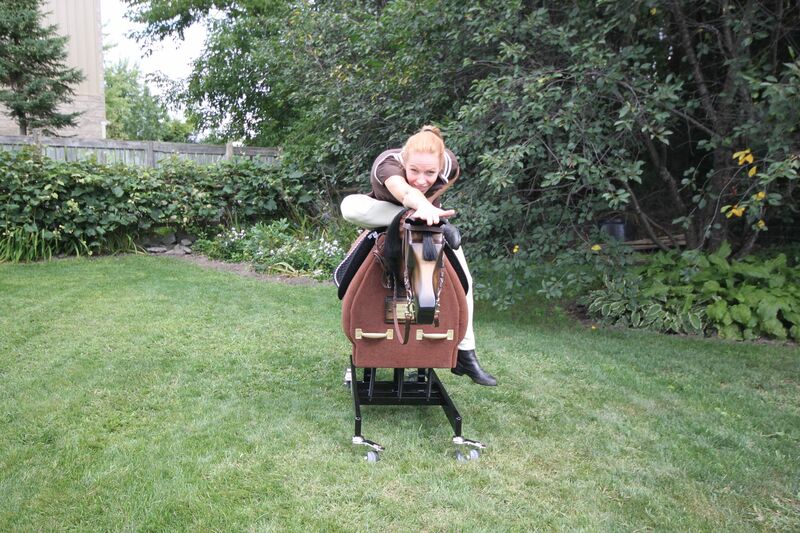 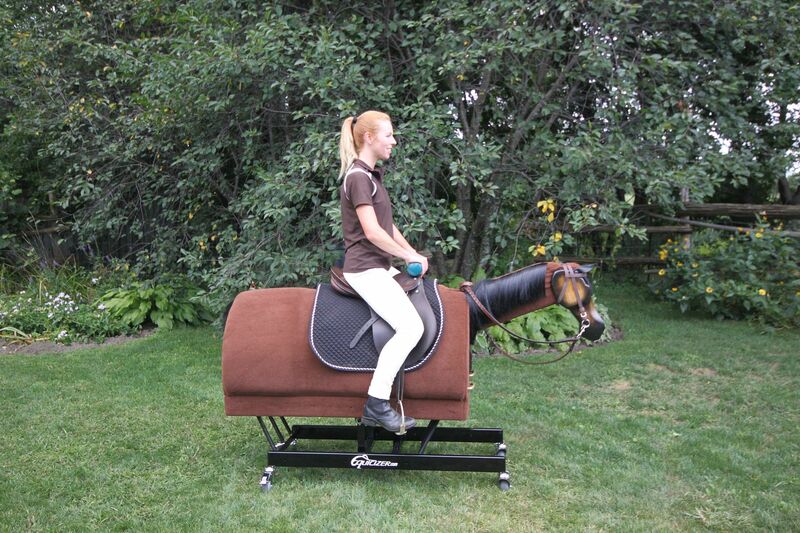 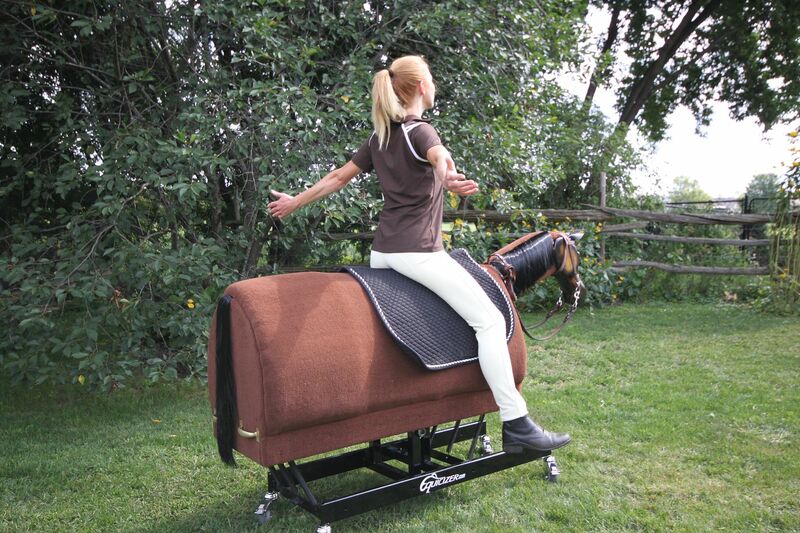 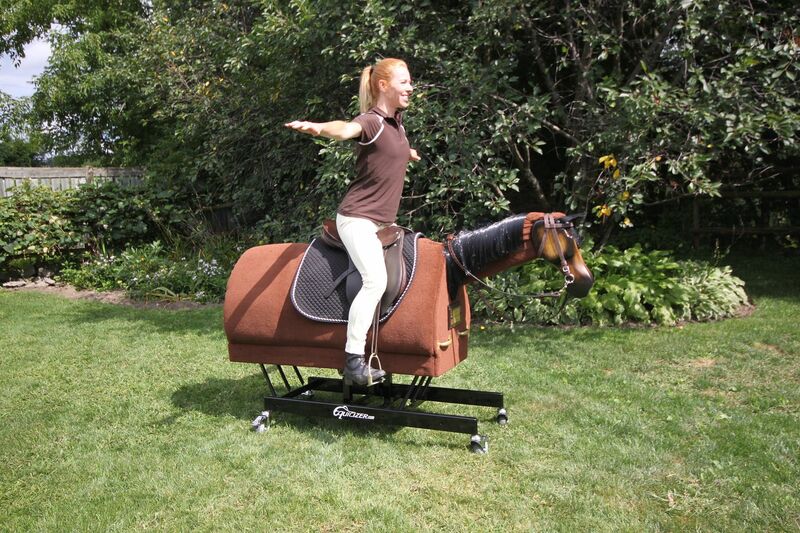 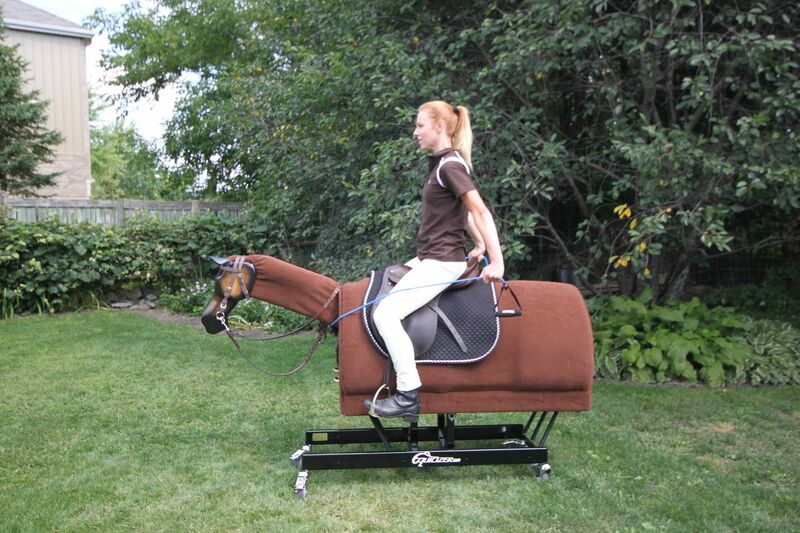 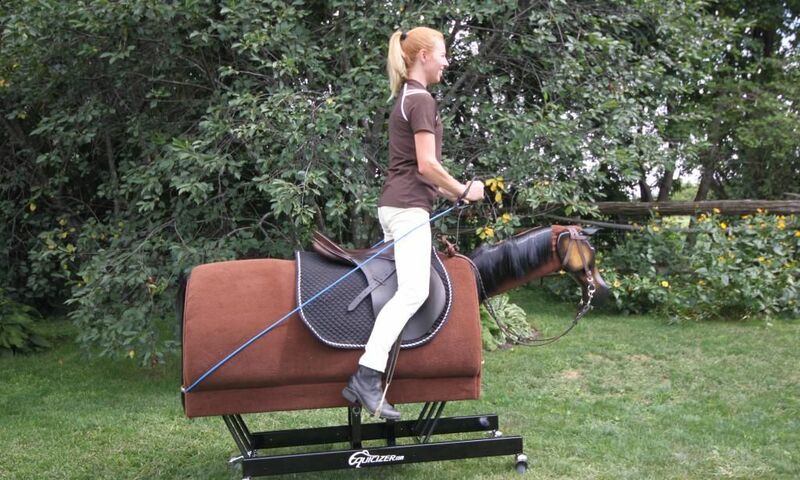 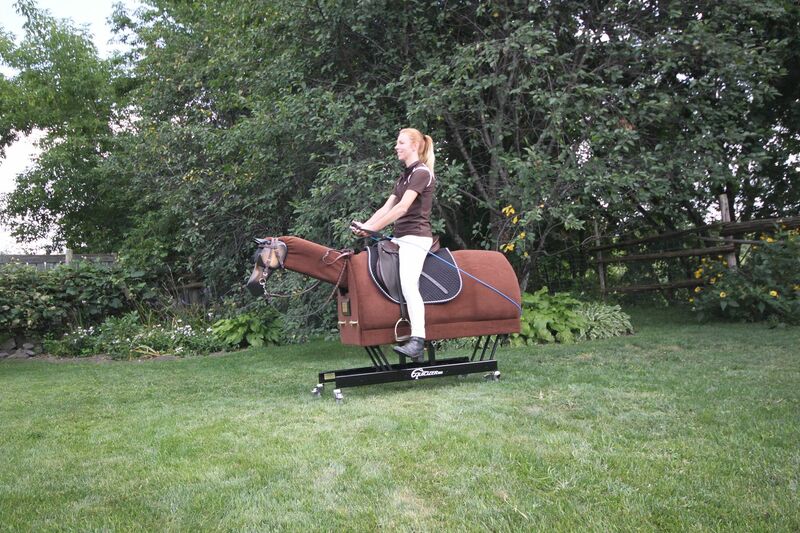 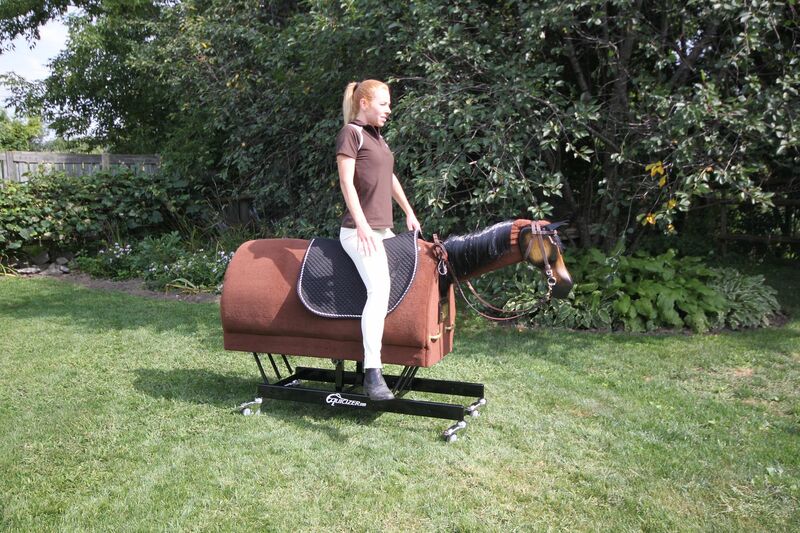 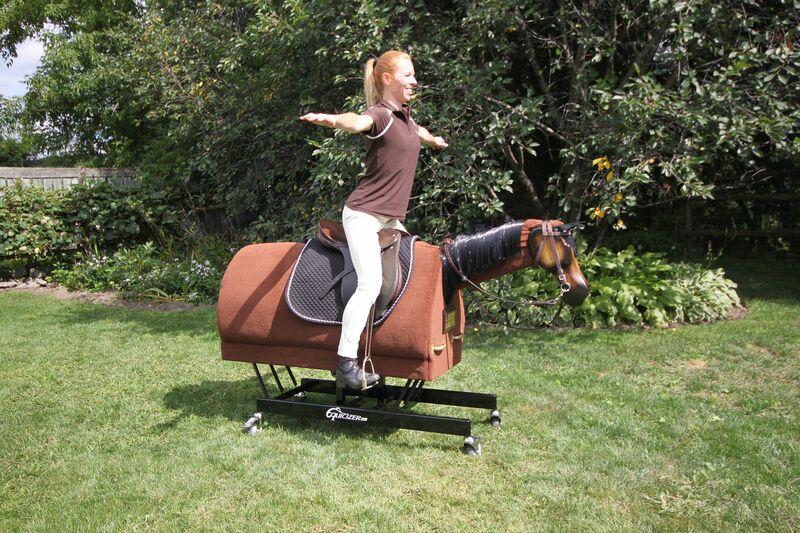 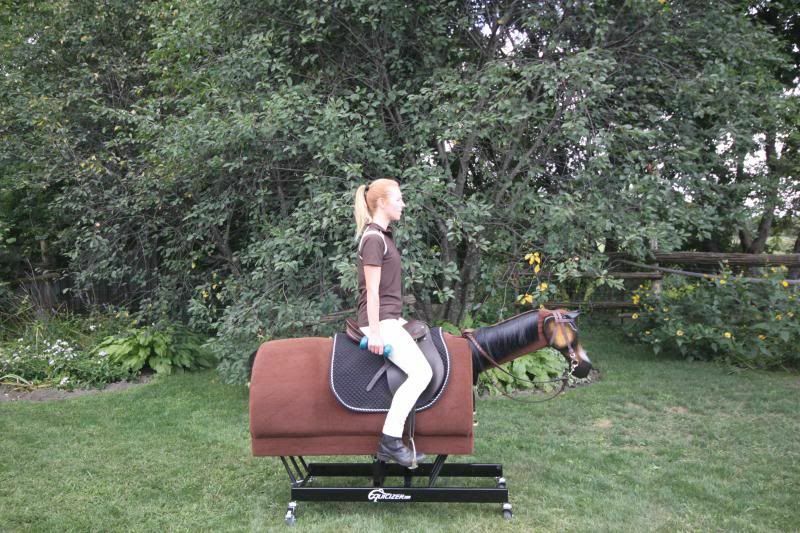 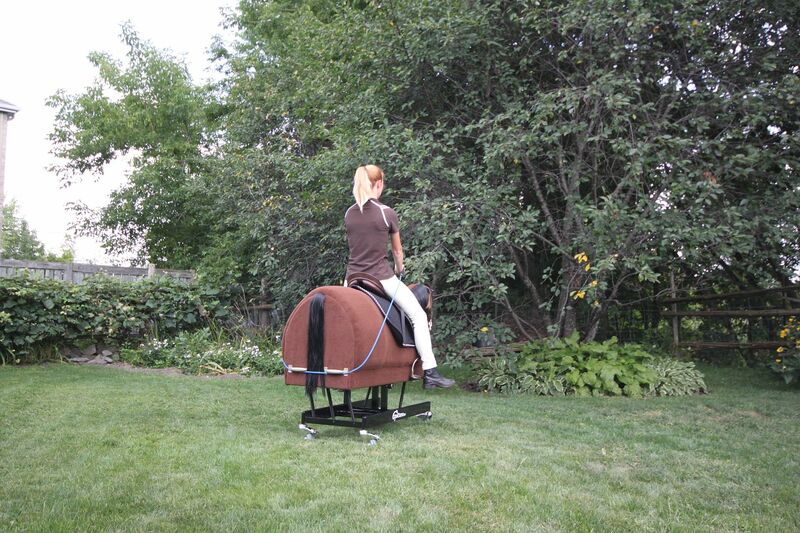 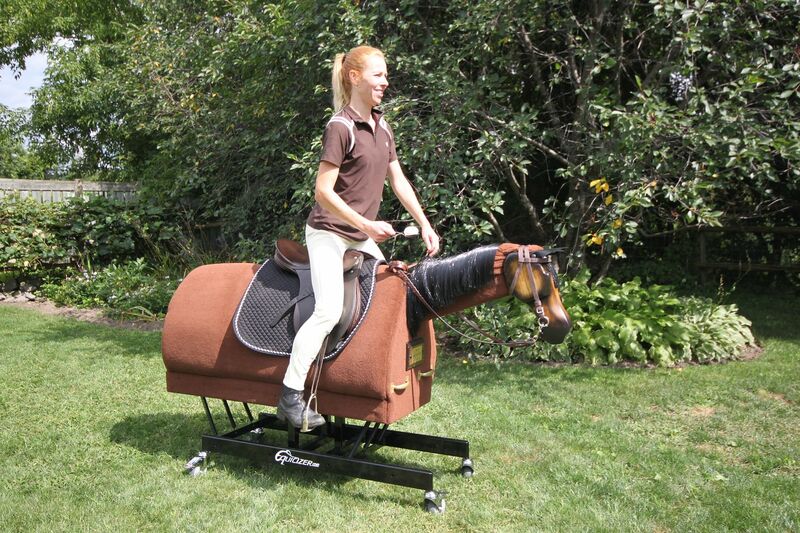 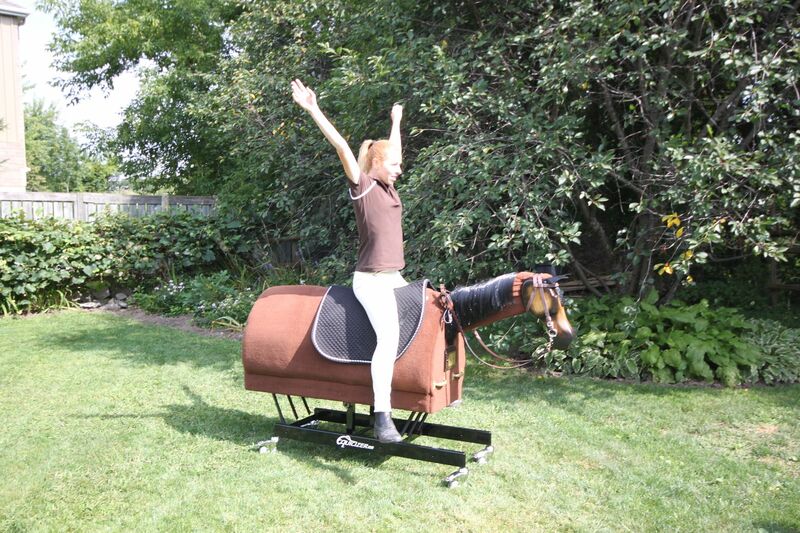 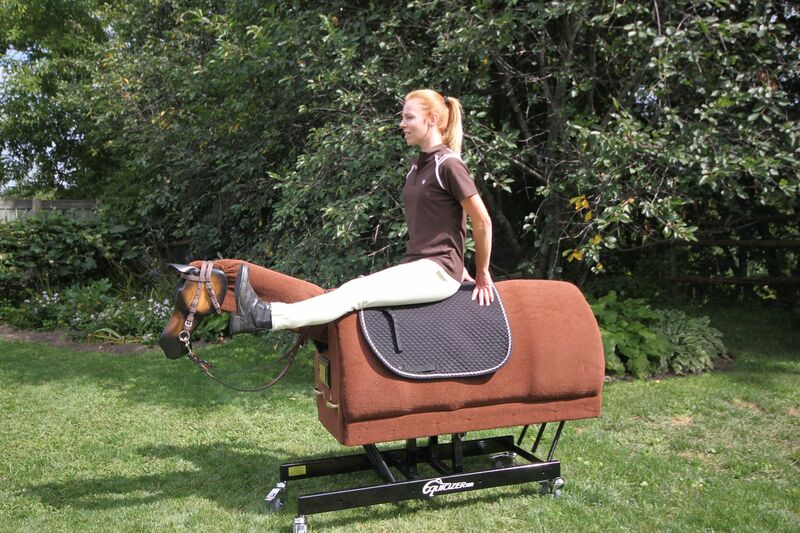 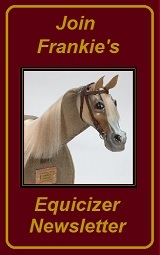 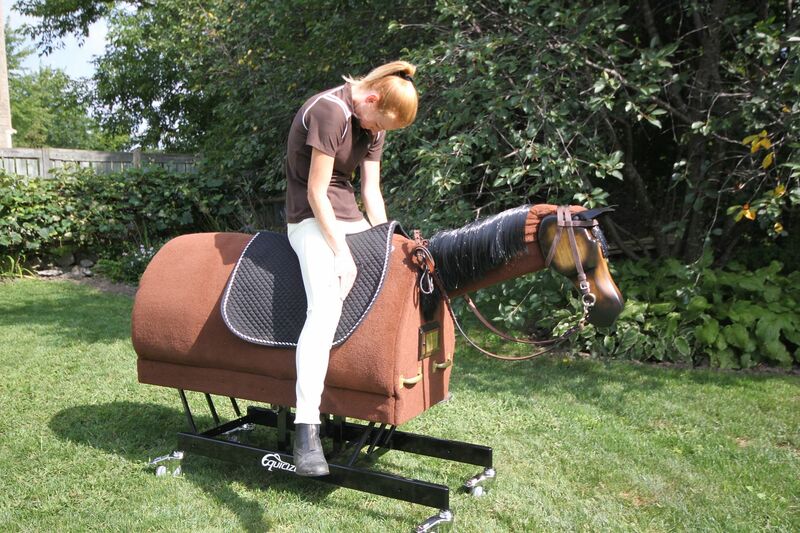 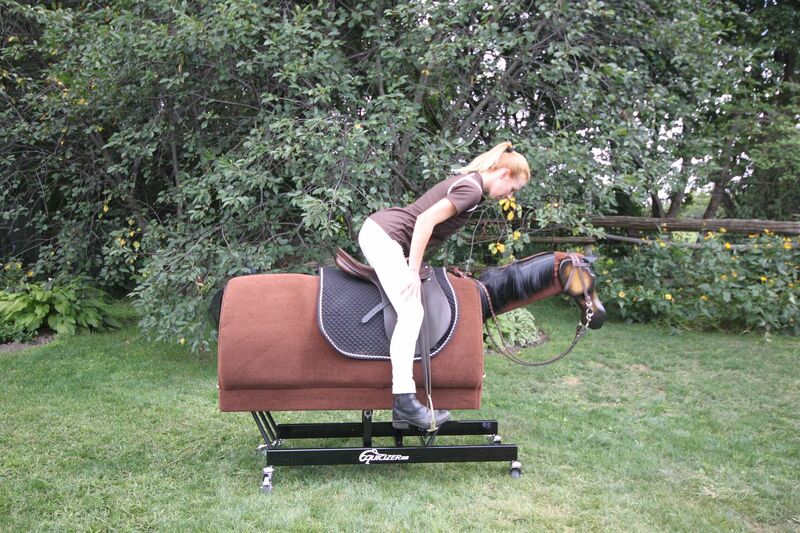 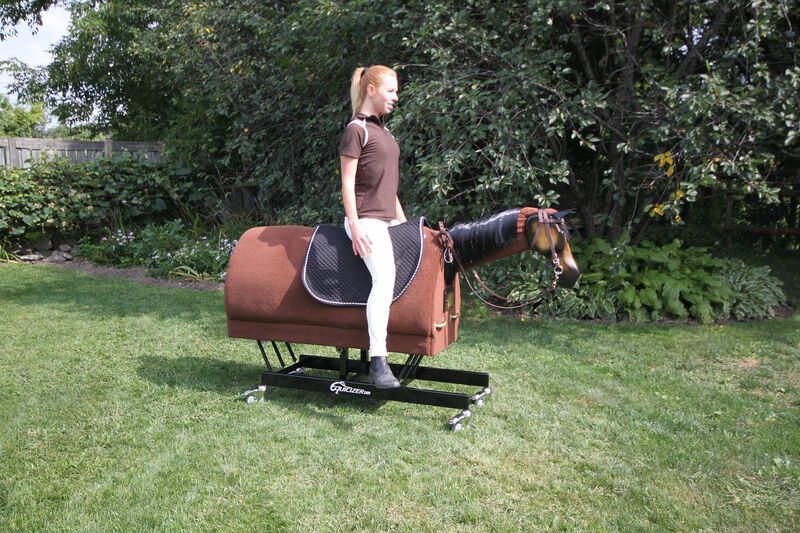 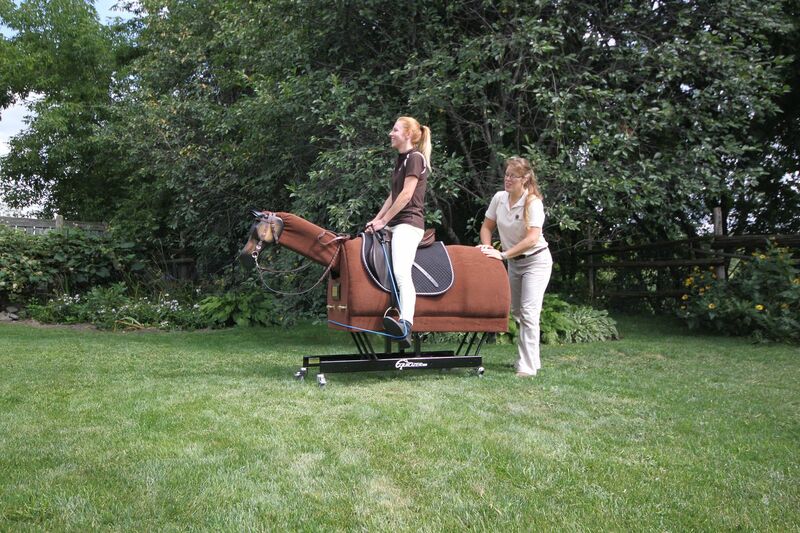 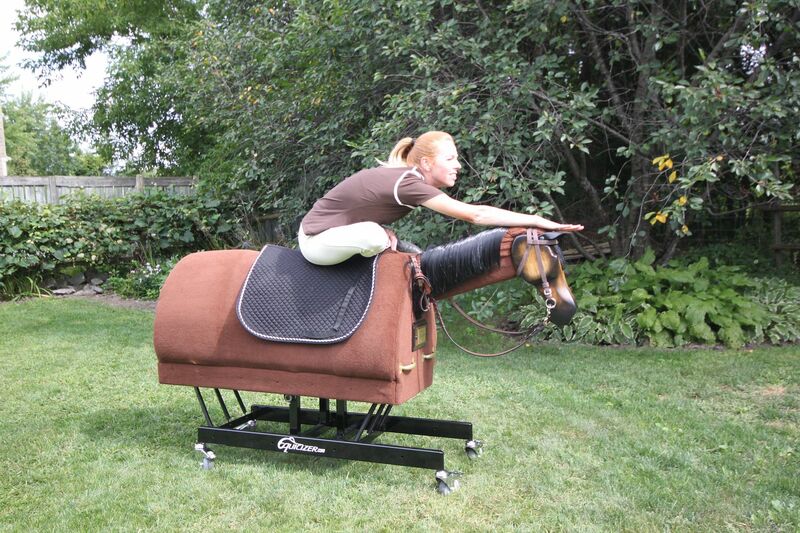 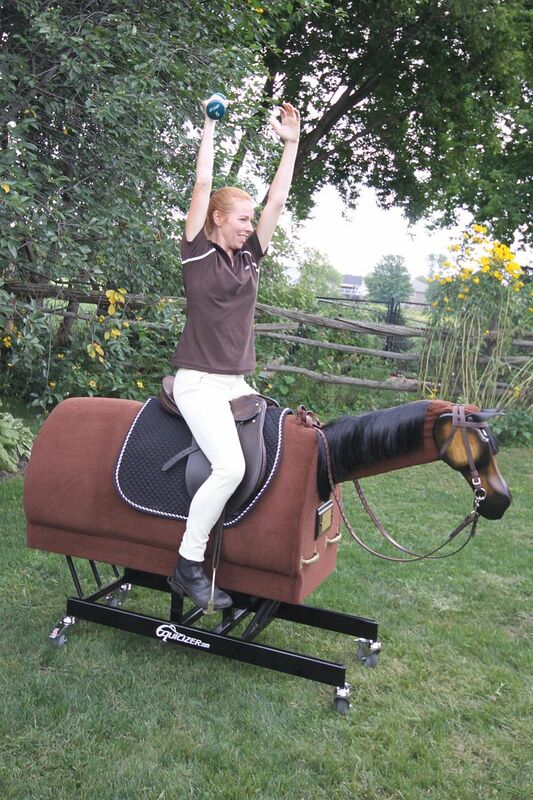 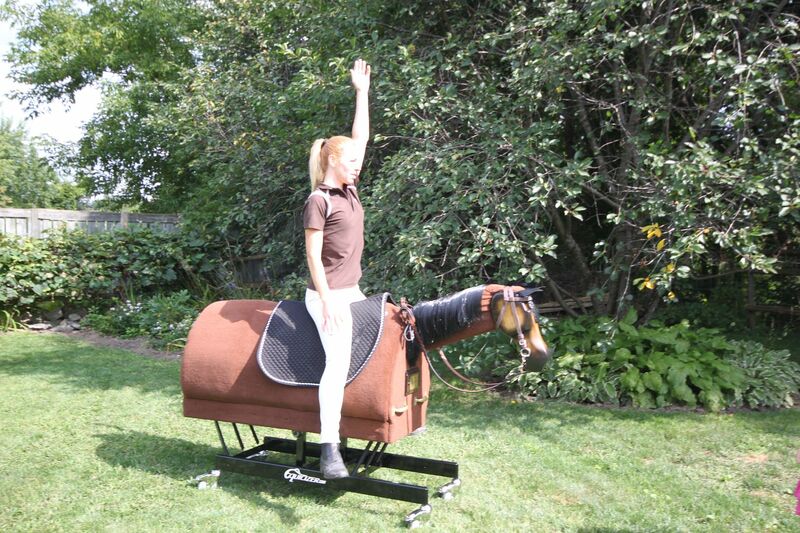 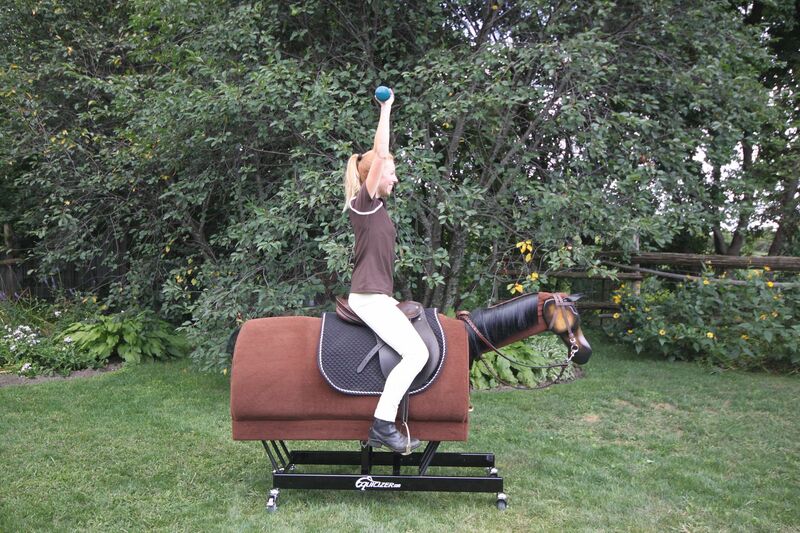 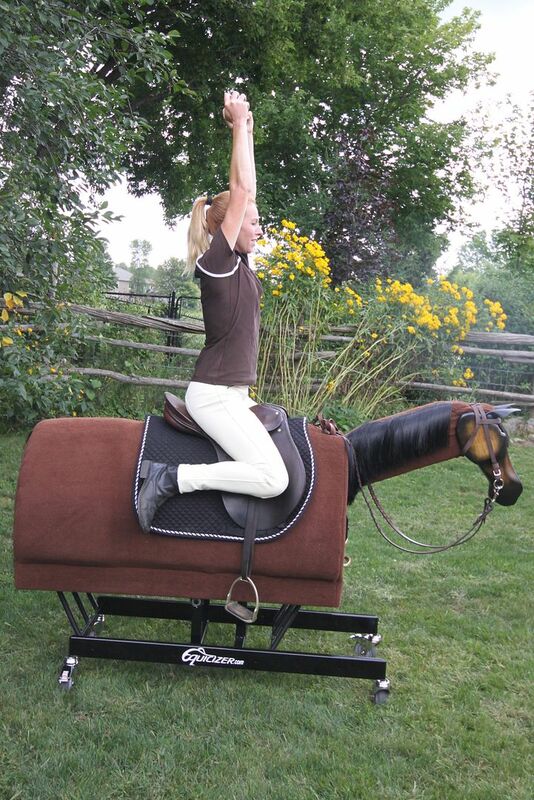 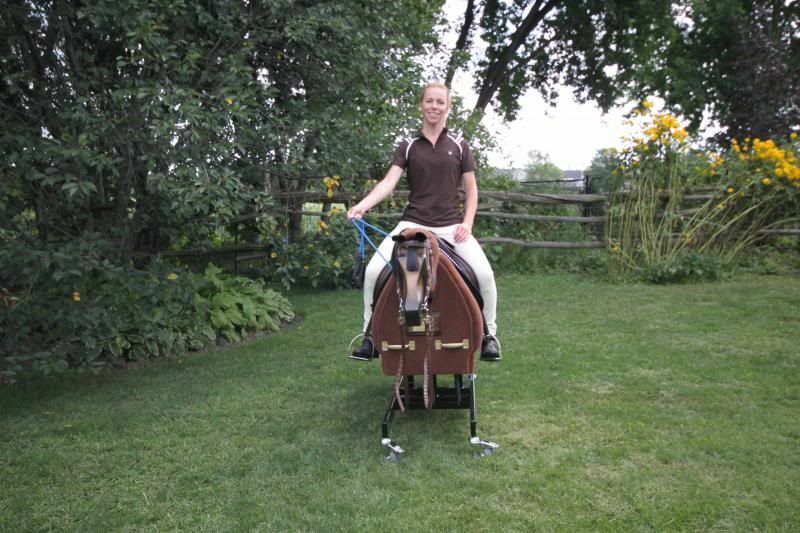 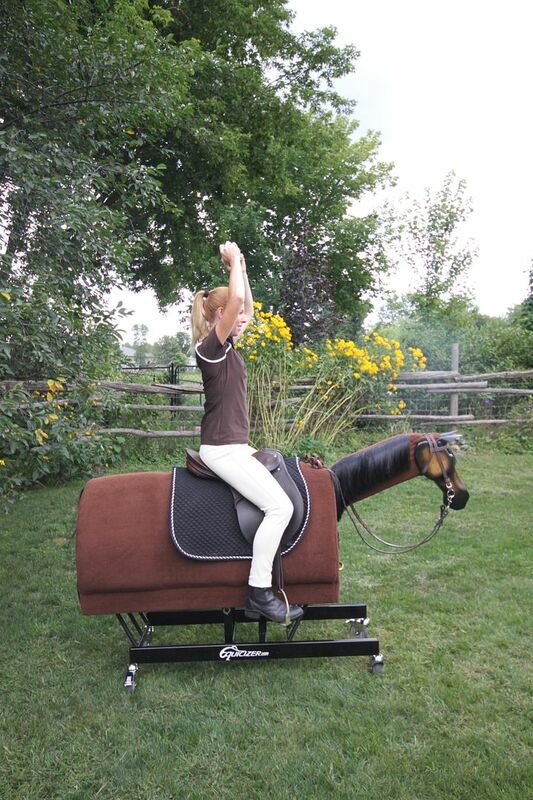 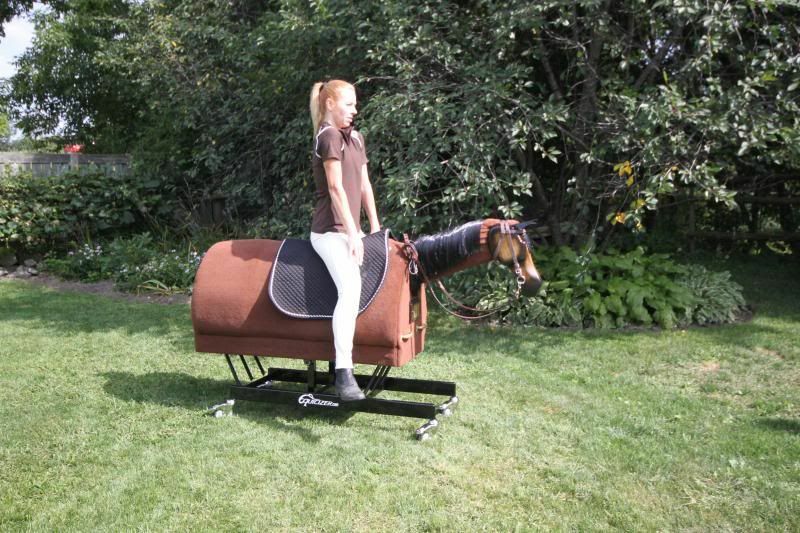 Welcome to the Equicizer Equestrian Exercise Page. 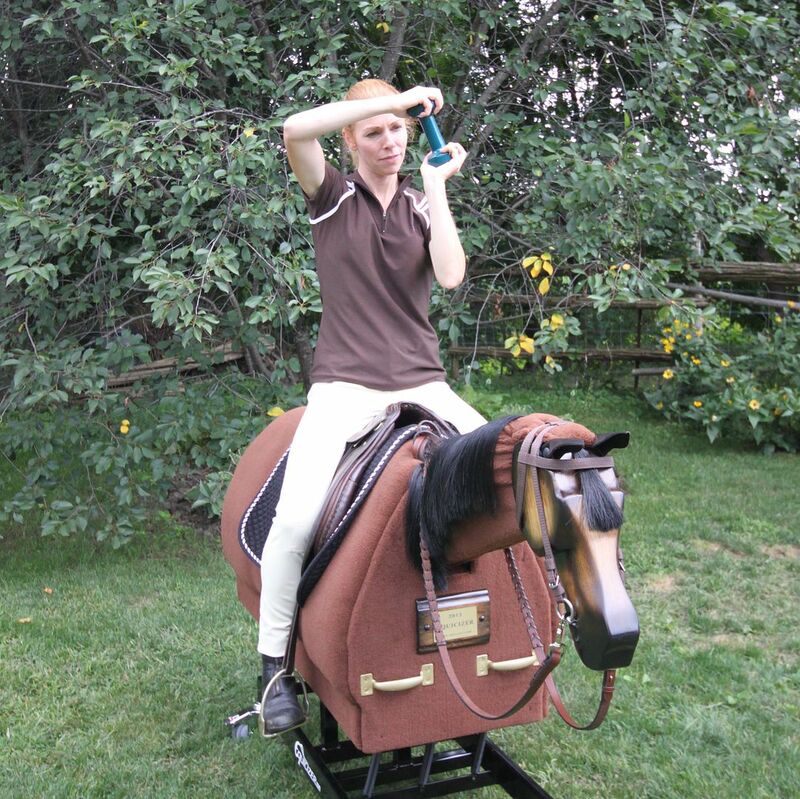 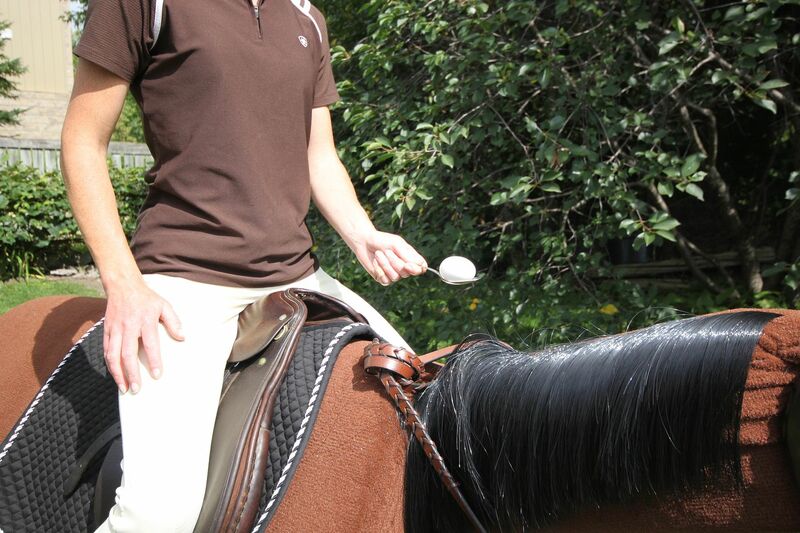 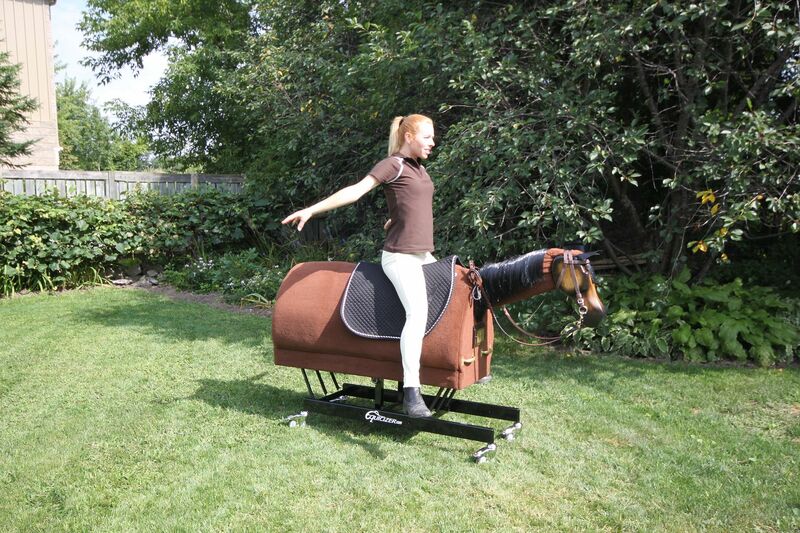 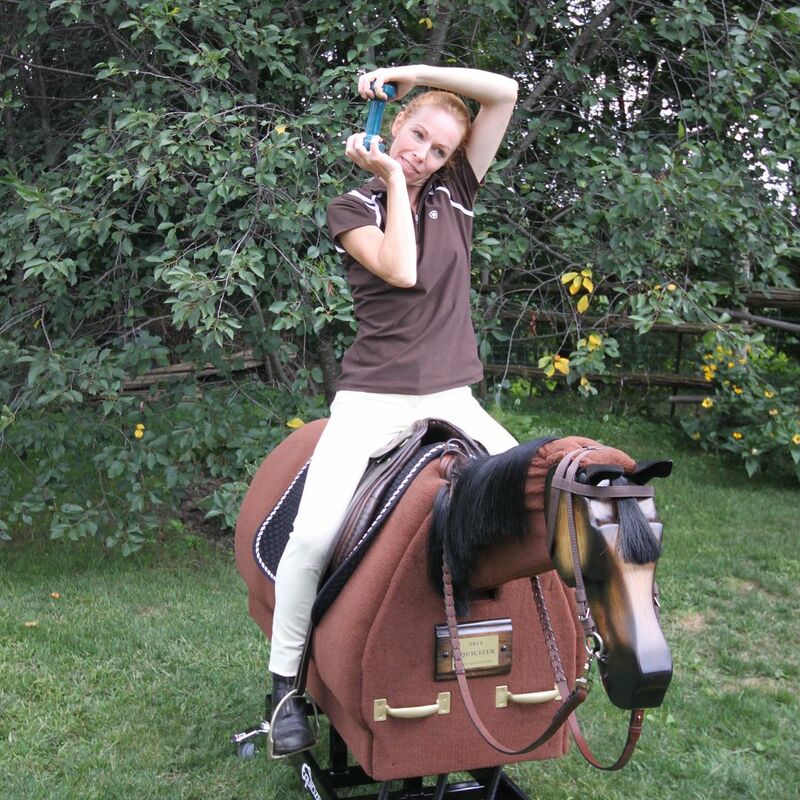 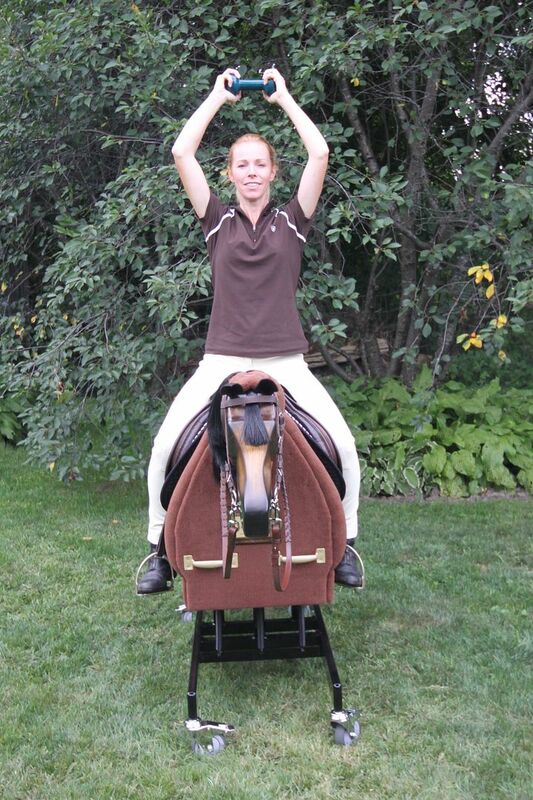 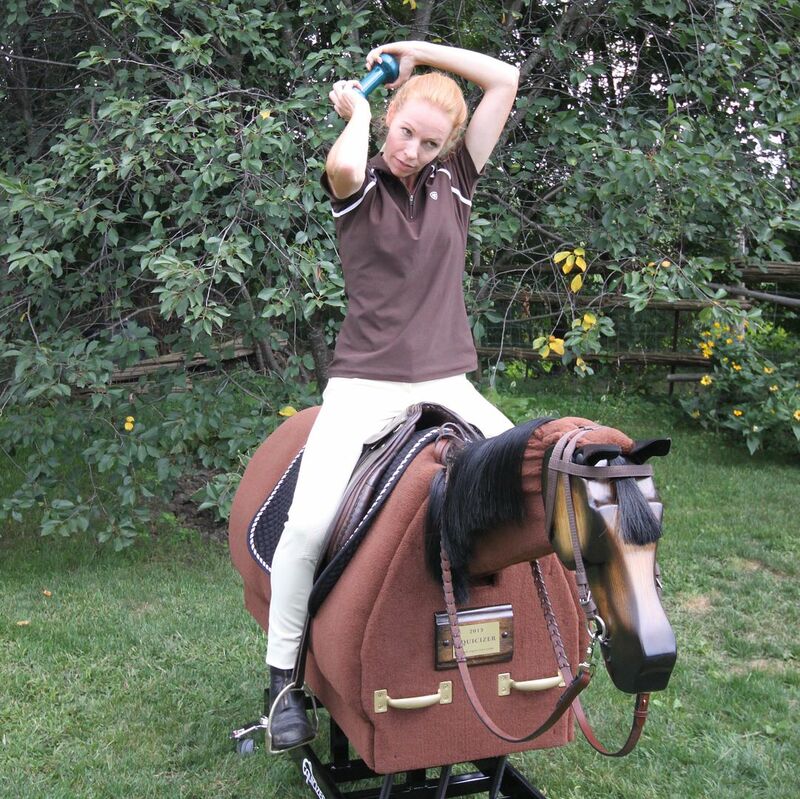 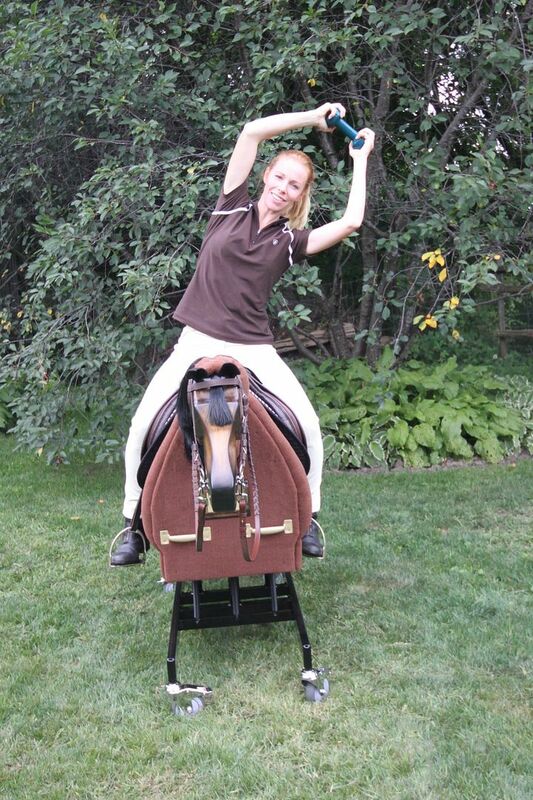 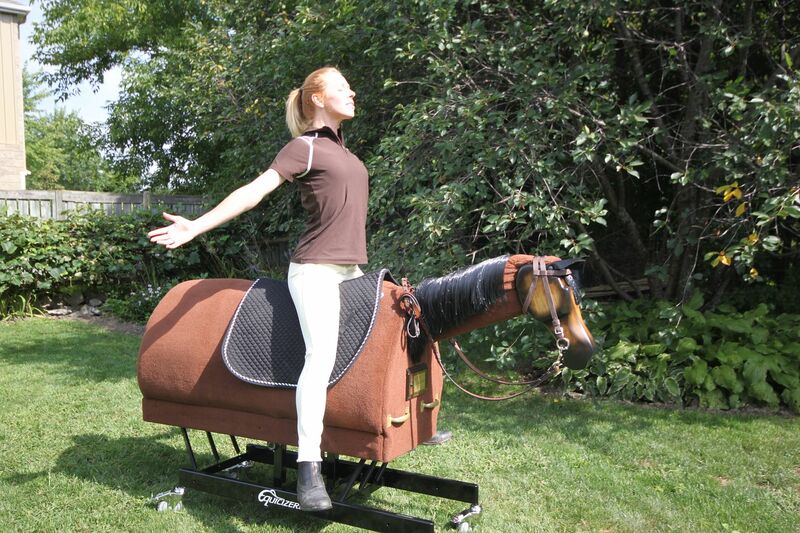 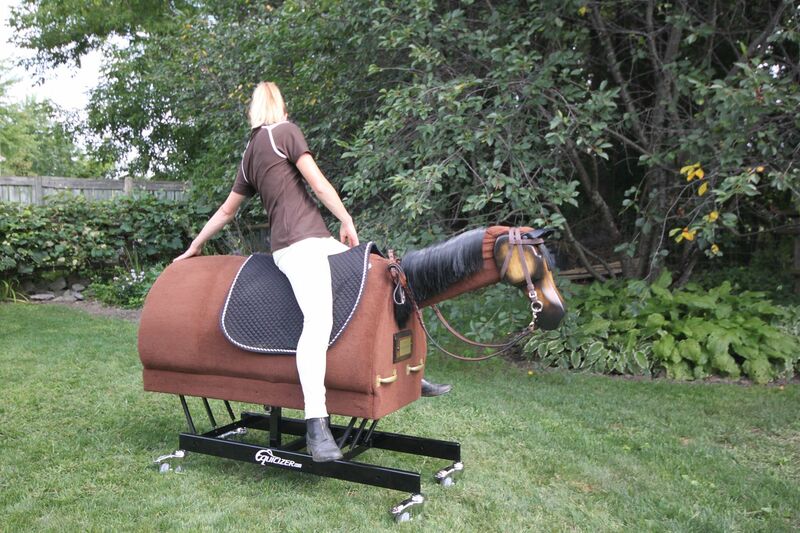 Here you will find some great exercise tips created by equestrian fitness expert, Heather Sansom using the Equicizer. 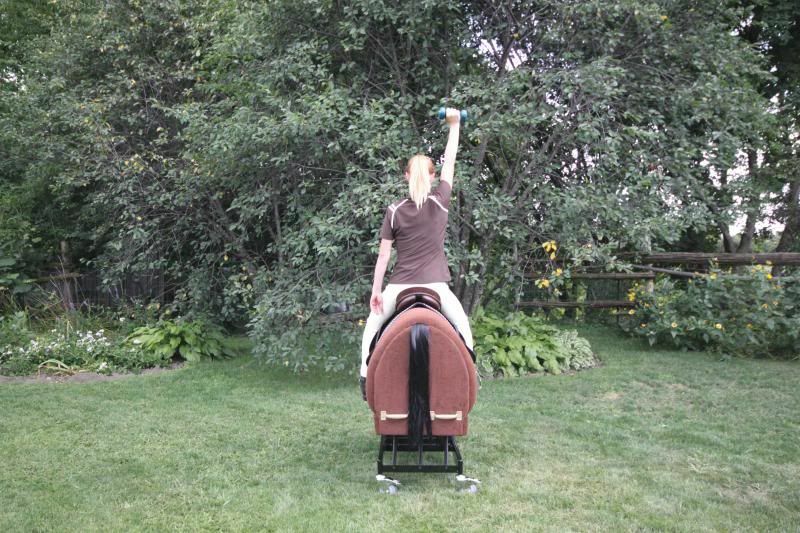 Exercise Descriptions for Home Exercises with the Equicizer specially designed for the Equicizer by rider biomechanics and fitness specialist Heather Sansom. 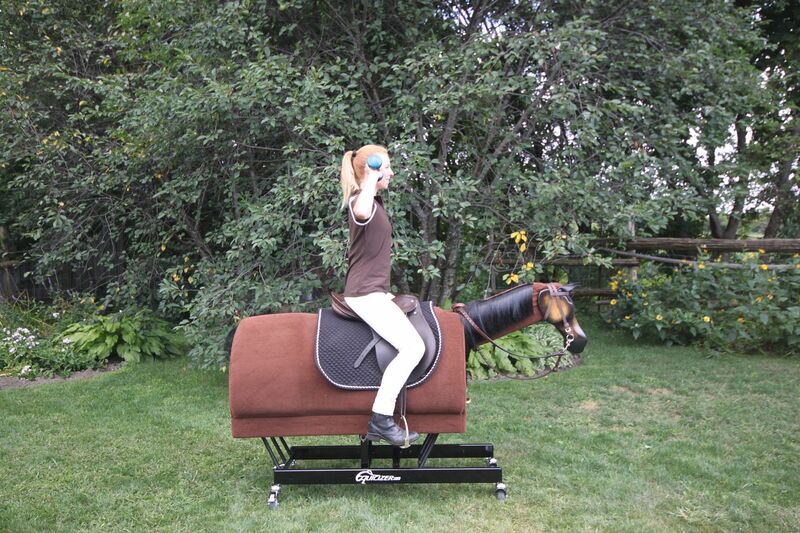 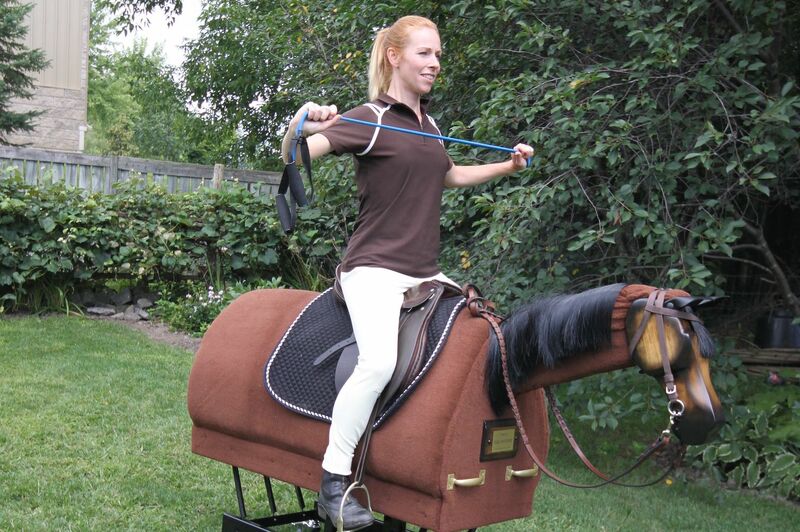 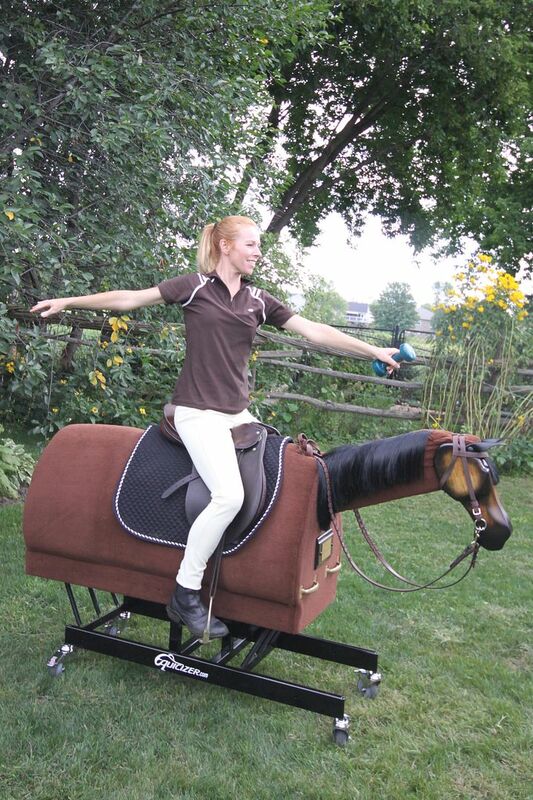 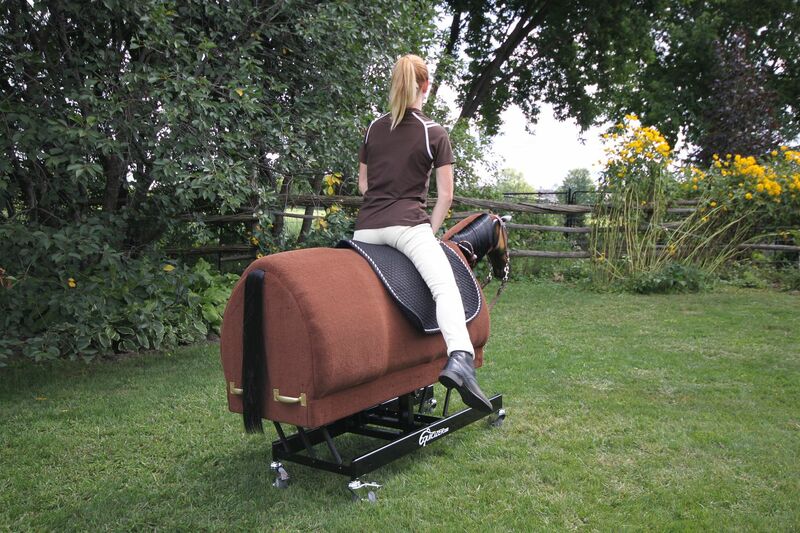 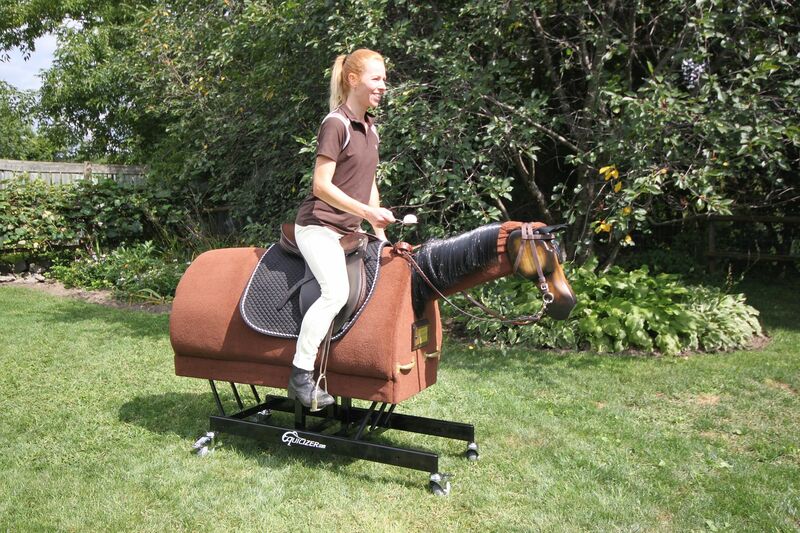 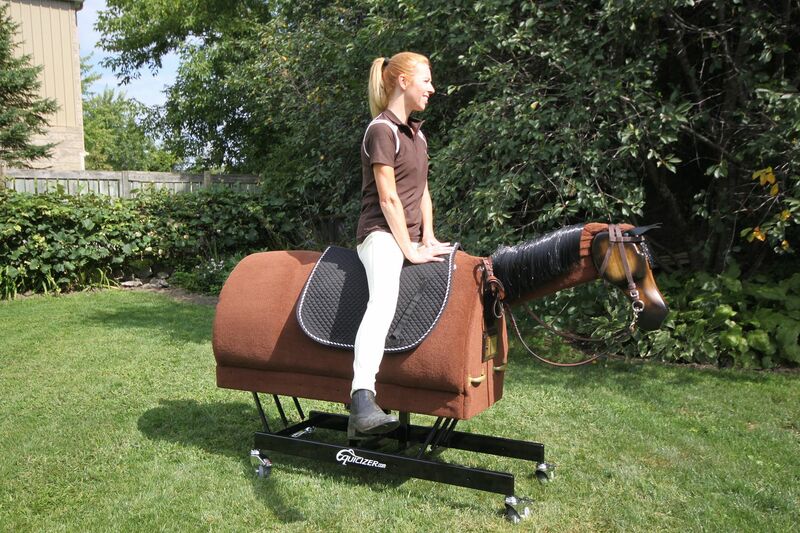 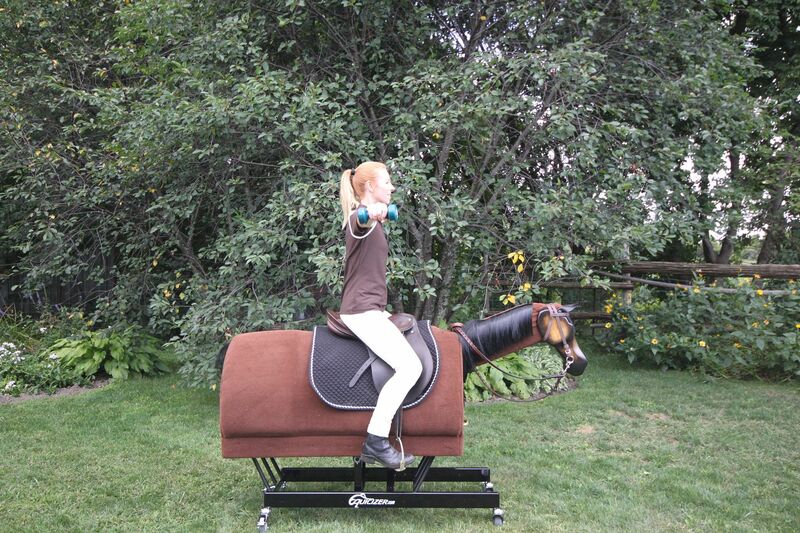 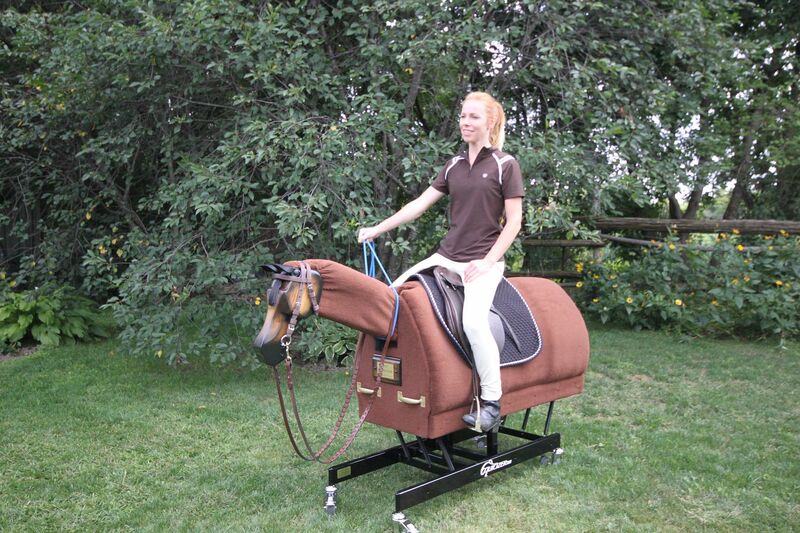 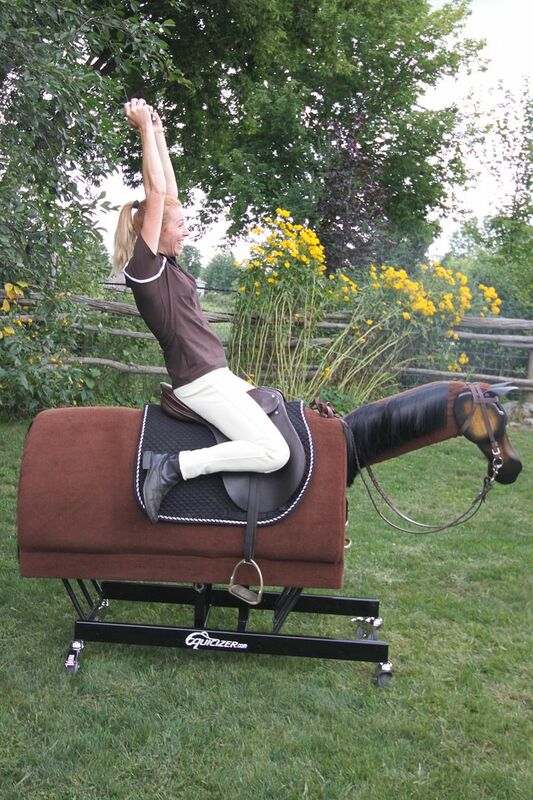 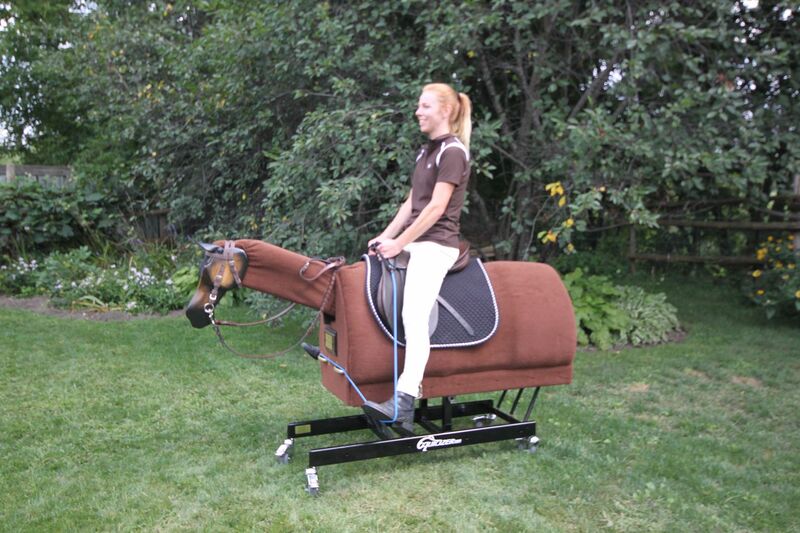 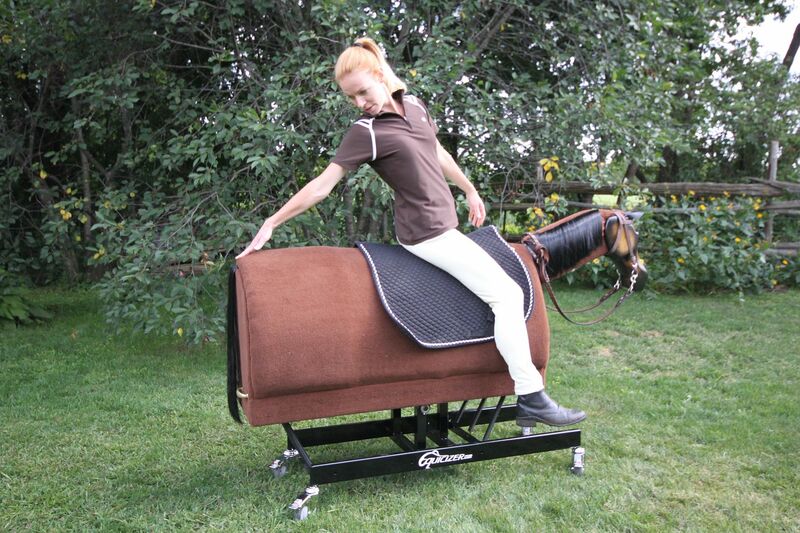 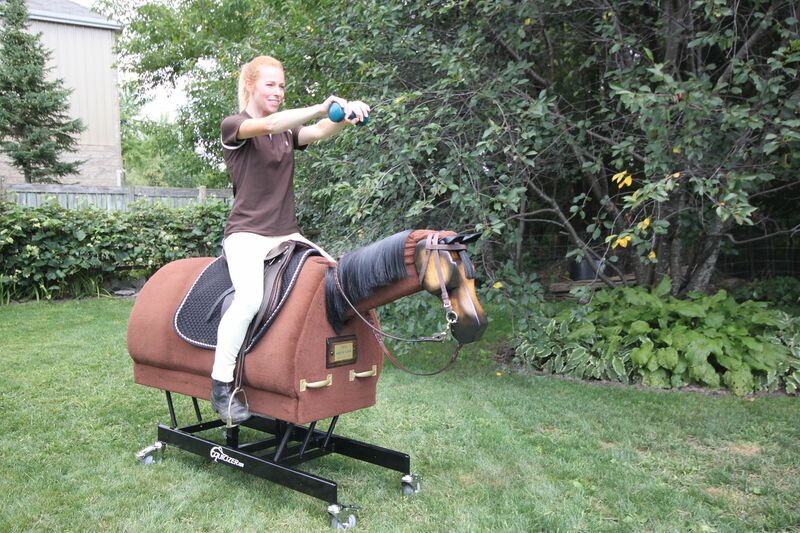 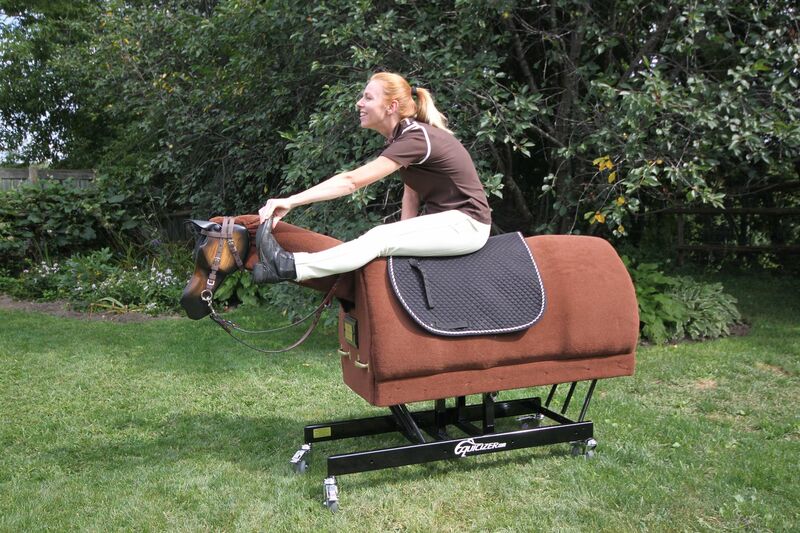 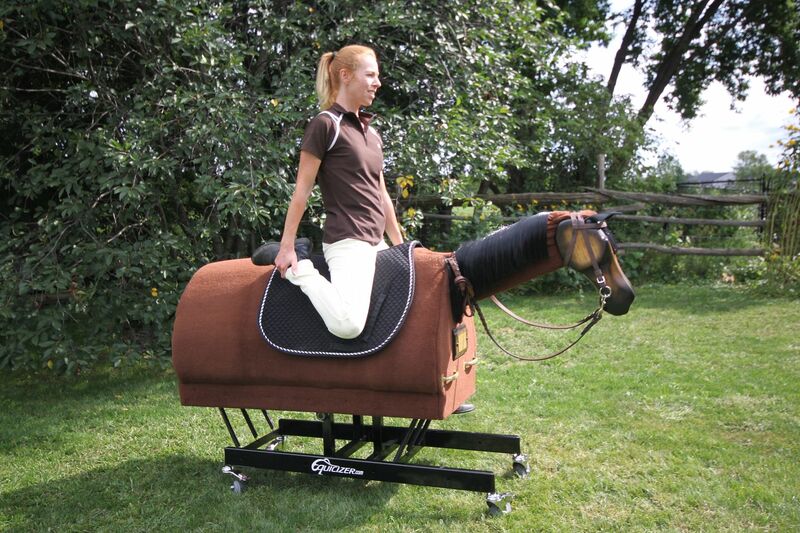 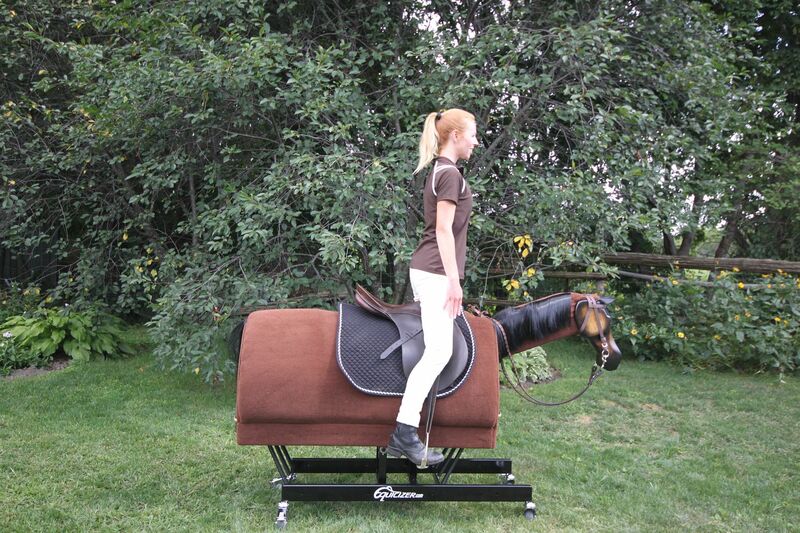 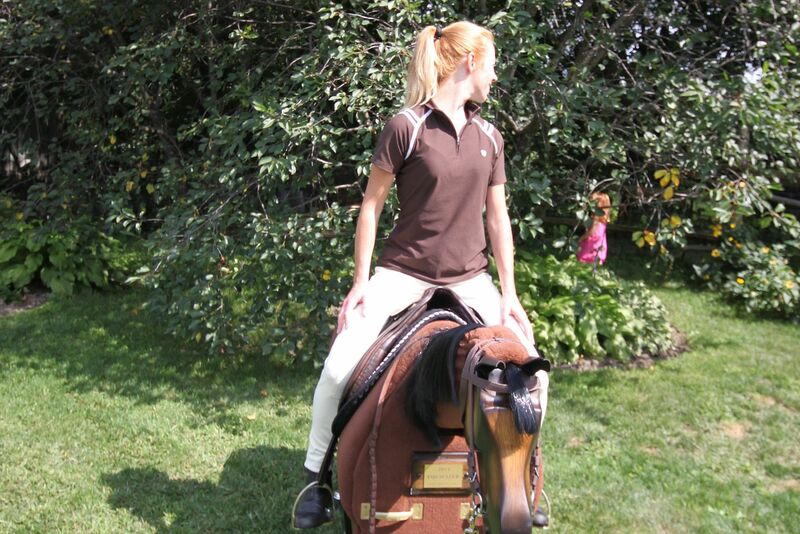 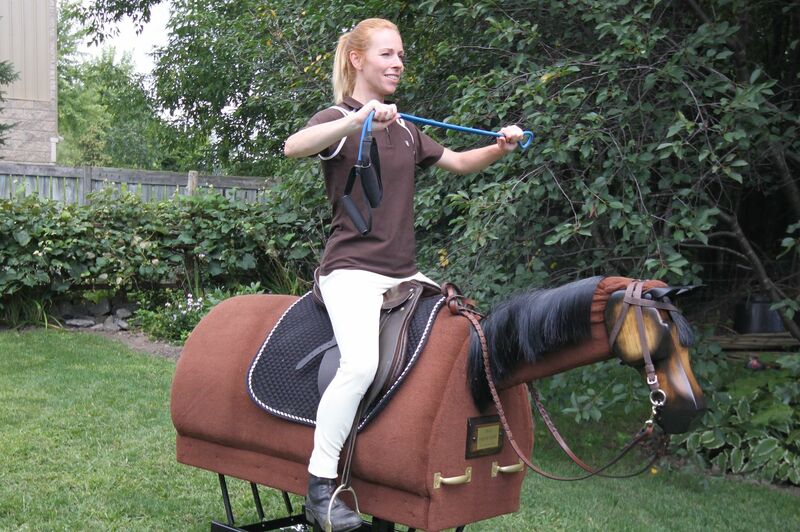 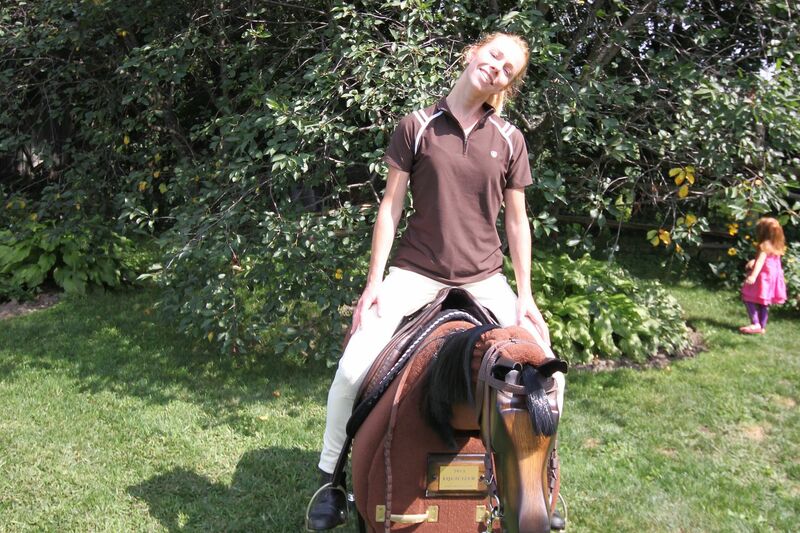 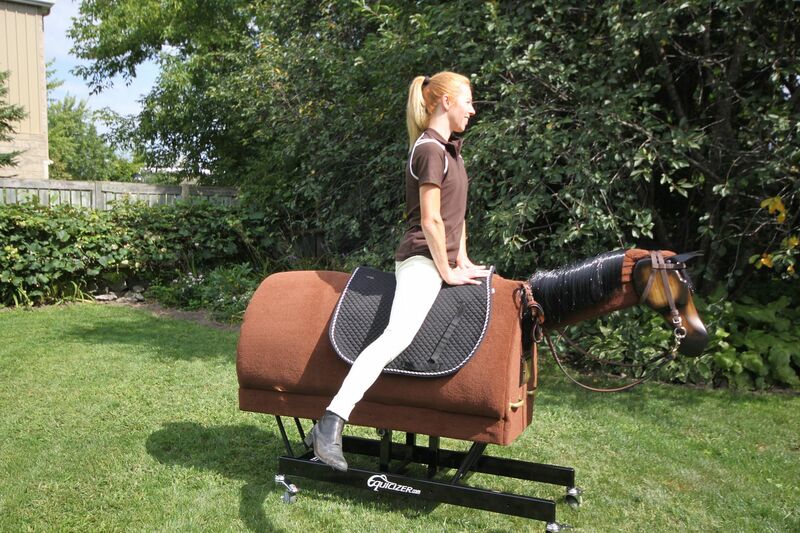 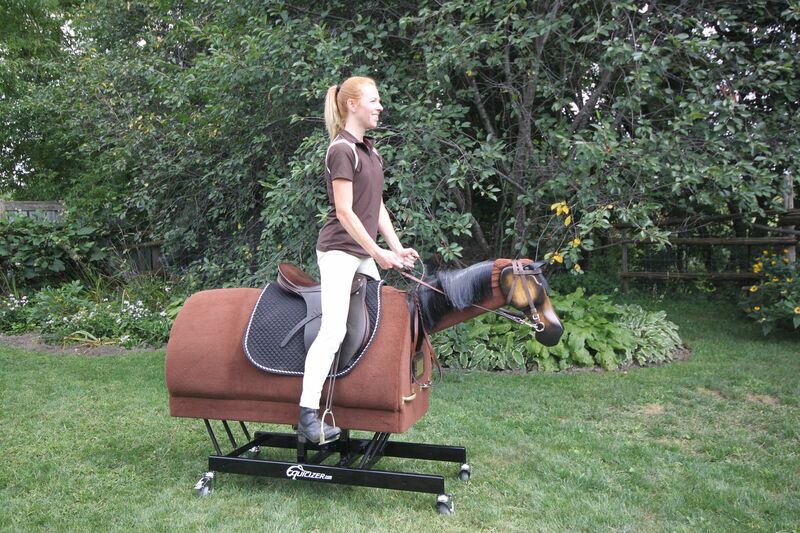 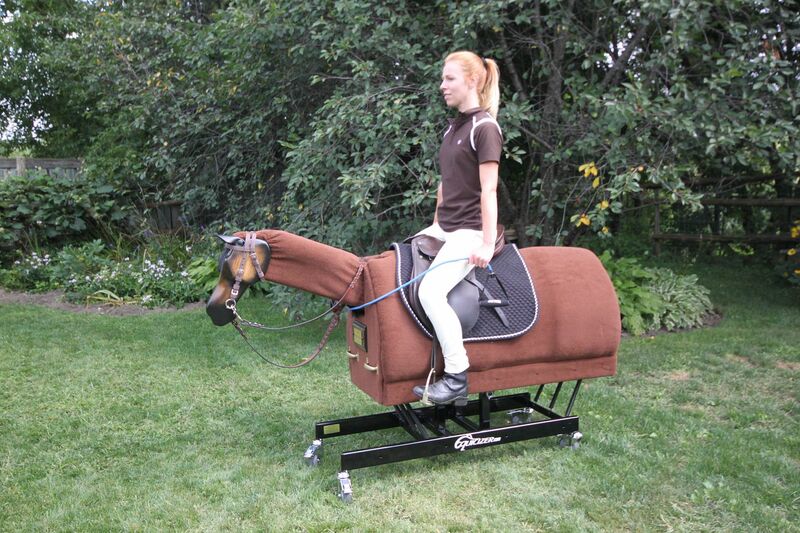 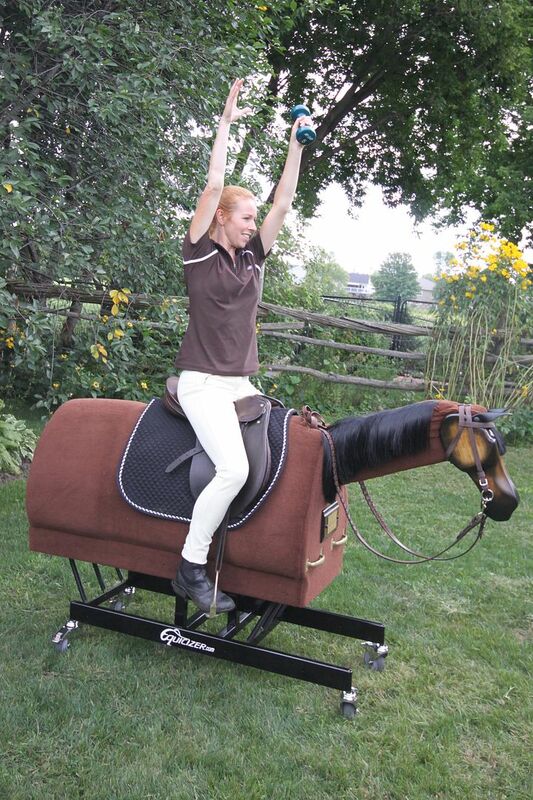 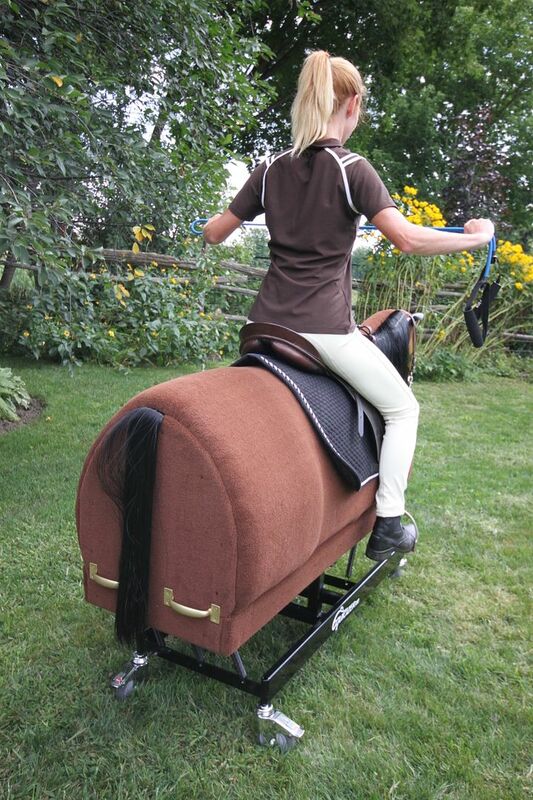 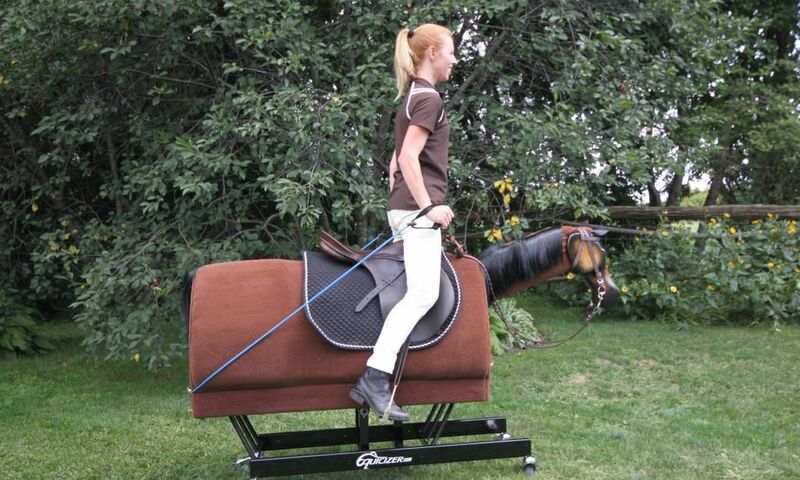 Specially designed for the Equicizer by rider biomechanics and fitness specialist Heather Sansom. 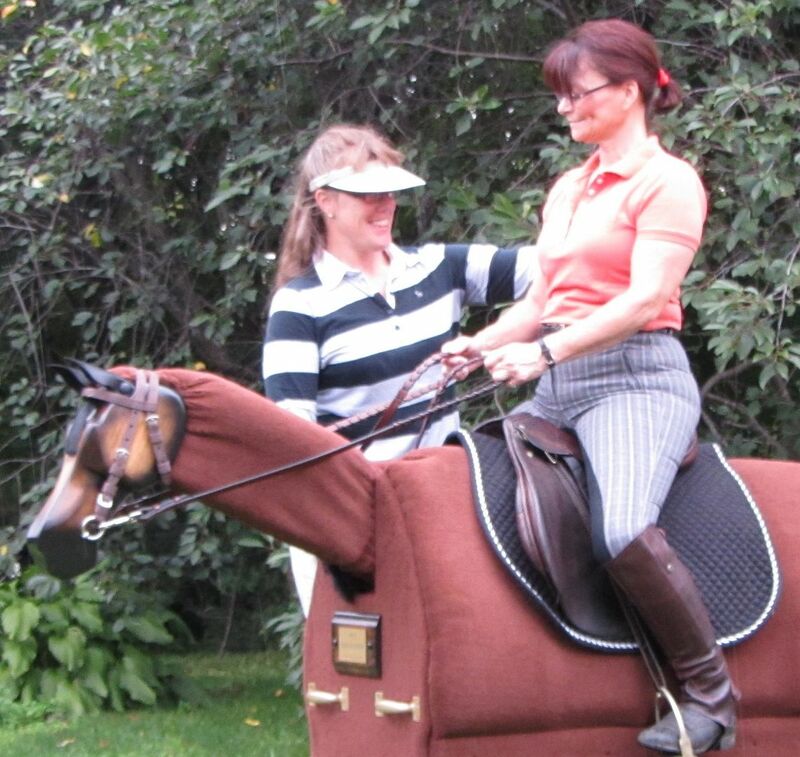 Sit with a good pelvis neutral position: you should be able to feel both seatbones in contact with the saddle-pad or saddle. 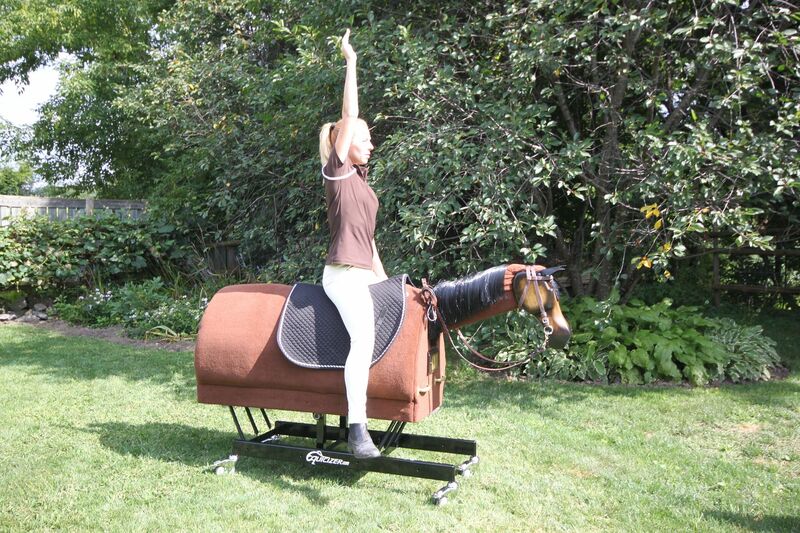 Align your shoulders, hips and heels making sure you are not leaning back or arching your lower back. 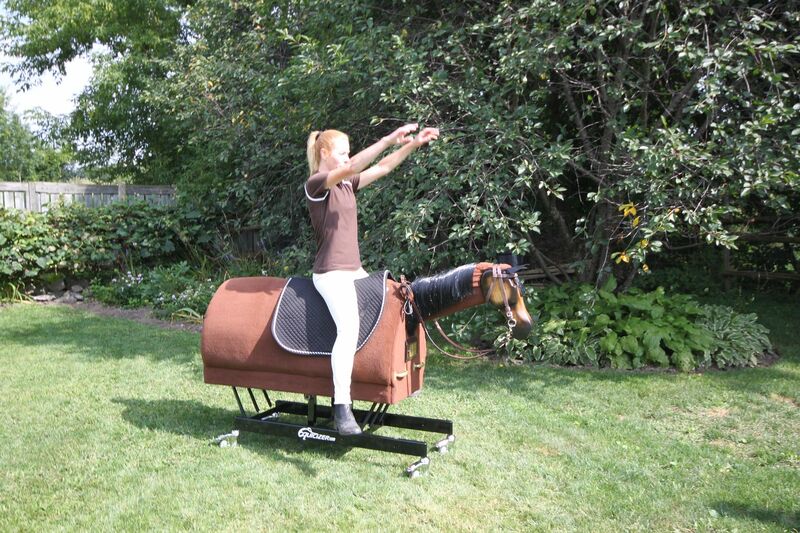 You will need to engage your abdominals somewhat. 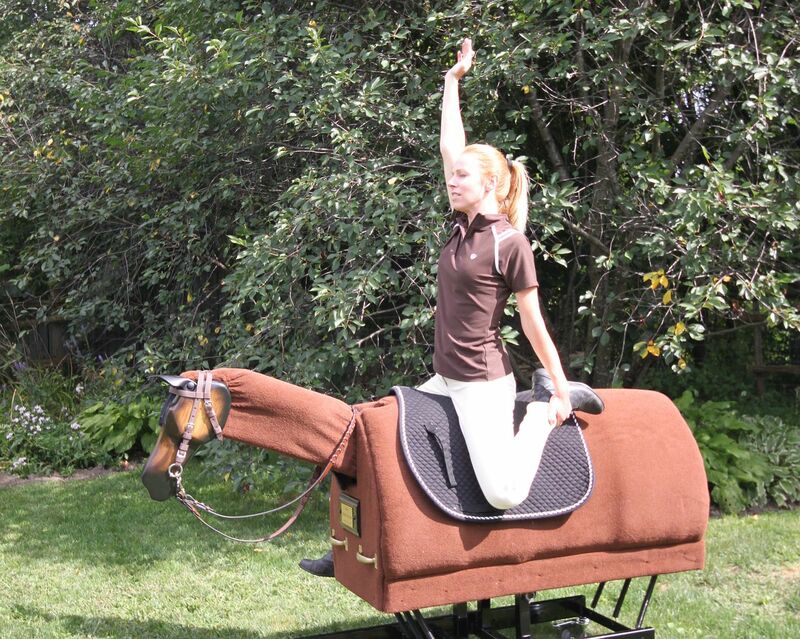 Reach one arm up past your ear, toward the sky. 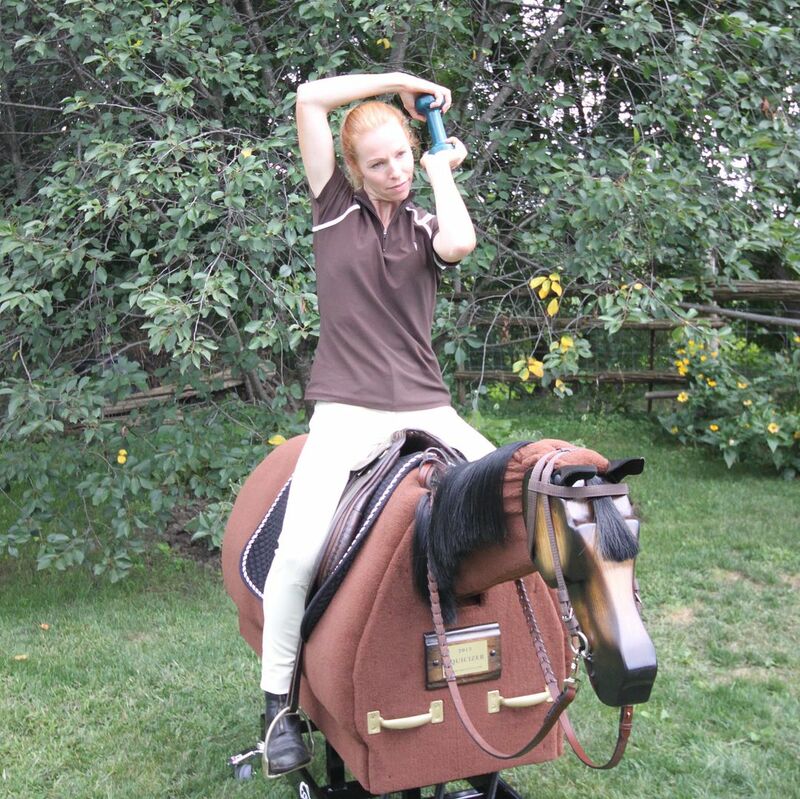 If you have an impingement in your shoulder, you will not be able to reach directly past your ear without compromising your spine position. 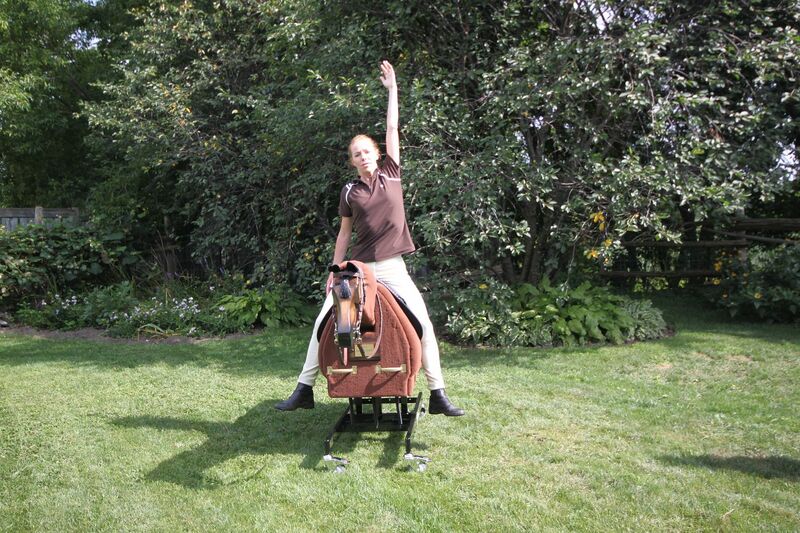 If that is the case, bend your elbow slightly and lift your arm up ahead of your ear.